Helicobacter pylori (H. pylori) is the leading cause of gastric cancer manifestation, but it’s currently unclear what causes the bacterial infection to produce malignancy in the stomach. A collaboration led by Weill Cornell Medicine’s Manish Shah, MD seeks to change this by studying the gastric microbiome and its changes in the presence of H. pylori and gastric cancer. A prevalent theory exists that H. pylori may cause chronic inflammation in the gastric mucosa, leading to a higher rate of dysplastic changes over time. 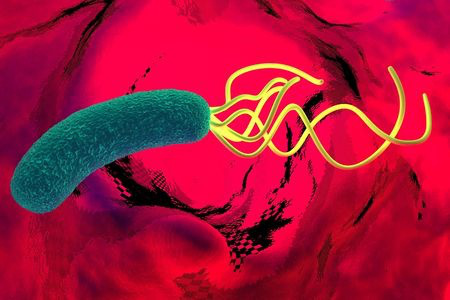 With the advent of deeper research into the GI microbiome in the past few years, a second hypothesis has risen, theorizing that H. pylori may cause adverse changes to the microbiome with greater potential for malignancy. However, research on this second theory is lacking. Along with Weill Cornell Medicine’s Doron Betel, PhD and investigators at Memorial Sloan Kettering Cancer Center and the Dana Farber Cancer Center, this research collaboration funded by the Starr Foundation hopes to build the necessary foundations for understanding the interplay between the gastric microbiome and gastric cancer. The researchers hypothesize that in the presence of a chronic H. pylori infection, host mucosal and adaptive immune systems and the microbiome are all altered, creating a perfect storm of inflammation that is ripe for malignancy. The gastric microbiome will be profiled in patients with and without H. pylori infections. The mucosal immune infiltrate will be studied in tandem with the microbiome profiles to discover consequences on host immunity. Genetic differences will be compared in patients with gastric cancer that developed in the setting of chronic H. pylori associated inflammation versus non-H. pylori associated gastric. The study is projected to take two years to complete. Dr. Shah hopes that the results will form the groundwork for future microbiome work in this region of the GI tract, and even lead to improved H. pylori surveillance and treatment.